Hungry for more Freelance Hunters? A. F. and Erin over at The Melting Potcast have whipped up a full-cast performance of a brand-new short story, “The Ice Box.” I originally wrote this for one of their flash fiction prompts, but the story was too big to be contained in a thousand words, and grew into a short. I had a blast writing this one, and they did a great job bringing it to life. Go check it out! Welcome to episode three of the Freelance Hunters! Today’s story is A Splash on the Big Bridge! This story was originally presented in audio by Mick and Katharina Bordet on their podcast, Every Photo Tells. Rather than rerecord my own version, I wanted to share their excellent production with you. Visit their site for more outstanding audio fiction, and get inspired by their photo prompts! The Elysian Springs Kickstarter is entering its final week, and still has a long way to go to reach its goal. Please help make this outstanding superhero fiction anthology a reality! Welcome to episode two of The Freelance Hunters, a weekly fantasy adventure serial by Hugh J. O’Donnell! This story first appeared on my blog, as a part of a flash fiction contest. HT to Mr. Scott Roche for the oversight. Intro music is “The Lion and The Unicorn” by DimensionBucket, a work in the public domain obtained from FreePD.com. Outro music is “Crunk Knight” by Kevin MacLeod of Incompetech.com. The Freelance Hunters logo is by Alex White. Send questions and feedback to hjodonnell(at)gmail.com and I’ll answer them on the show. Also, consider joining my Patreon feed, where any size contribution will get you exclusive podcasts and fiction. Higher levels get eBooks, Hangouts, and more! So please visit patreon.com/hughjodonnell to sign up! Today’s promo is for the Elysian Springs Anthology Kickstarter! This is a very exciting project, with a unique spin on superheroes. Be sure to check it out! 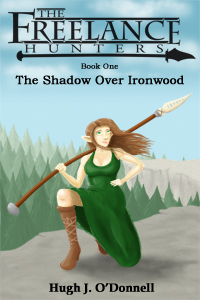 Welcome to episode one of The Freelance Hunters Podcast, a weekly fantasy adventure fiction serial created by Hugh J. O’Donnell. This story originally appeared in print in Bards and Sages Quarterly’s April 2013 issue. 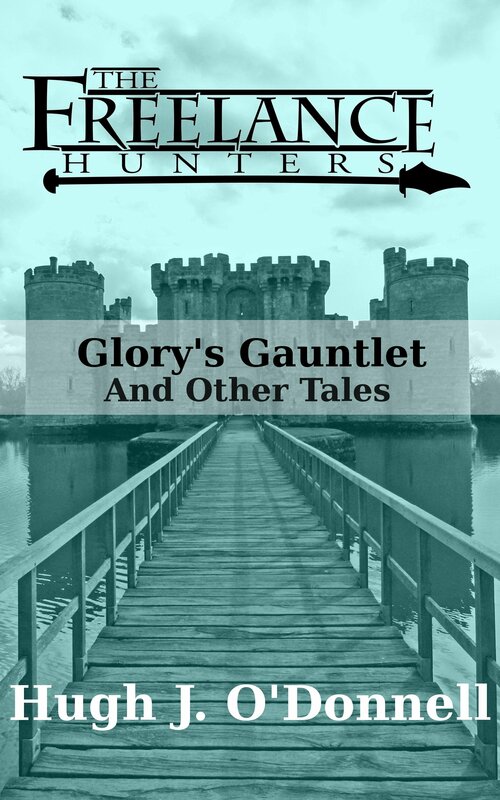 It can also be found in ebook as part of the collection Glory’s Gauntlet and Other Tales, available from Amazon or Gumroad. I’m still cleaning the site up, connecting all the links and digging the pit for the RSS Feed, but in the meantime, we have a promo! Please enjoy, and share if you’ve got a podcast of your own. Episode One will be up as soon as I can figure this RSS out. 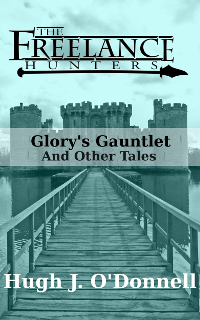 Coming soon, from Hatching Phoenix Productions, a podcast and ebook series of not-quite-epic fantasy adventures. The Freelance Hunters roam the Great Island of Elanterra, righting wrongs and solving mysteries, as long as there’s something in it for them. Glory Bywater, Mage: The daughter of a prominent Hillfolk merchant clan, she threw it all away to pursue her dreams of becoming a wizard. Always chasing the next discovery, she has a lot to prove, both to her estranged family, her snobbish colleagues, and herself. Bingo Proudfoot, Fingerman: Bingo wasn’t born in some flash manor lodge. This Hillfolk was raised by the streets, and he did everything he could to survive. After rising quickly in the ranks of the underworld, he went straight. But old habits die hard. Joachim Verne, The Muscle: This human hales from the remote and barbarous Icy Mountains, but he’s seen every corner of the Island with one mercenary company or other. Beyond that, his past is a mystery. Joachim prefers to let Incisor, his enchanted spear, do the talking for him. The Hunt begins, June 2015!